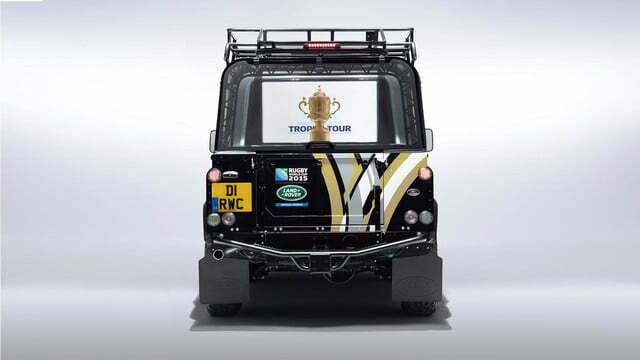 Land Rover’s Special Vehicles Operation team has introduced a custom-built Defender designed specifically to carry the Webb Ellis Cup on a 100-day tour of England and Ireland. 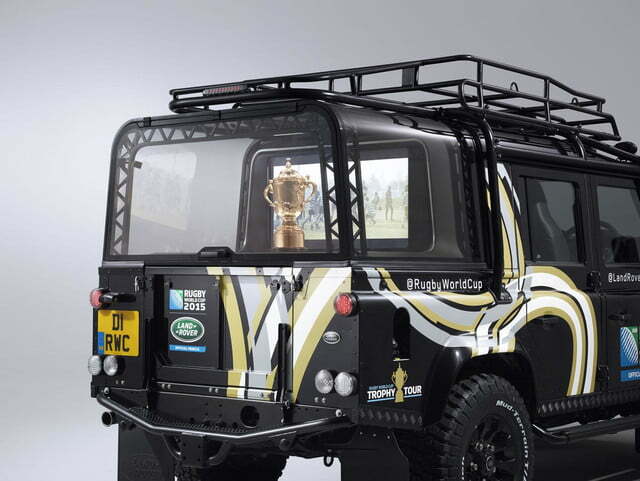 For the uninitiated — your author included — Land Rover explains that the Webb Ellis Cup is the trophy given to the winner of the annual Rugby World Cup. 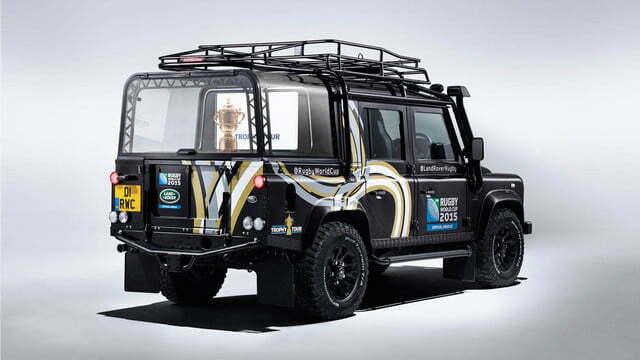 The off-roader took nearly 6,000 hours to design and build. 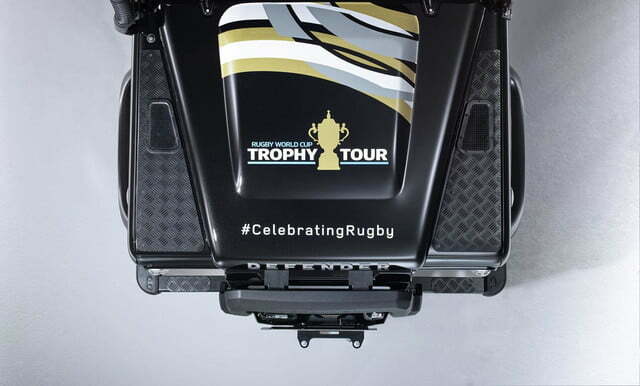 Starting with a stock long-wheelbase Defender 110, Land Rover has chopped off the sheet metal between the C- and the D-pillars and replaced it with a large trophy cabinet designed to safely carry the Webb Ellis Cup. 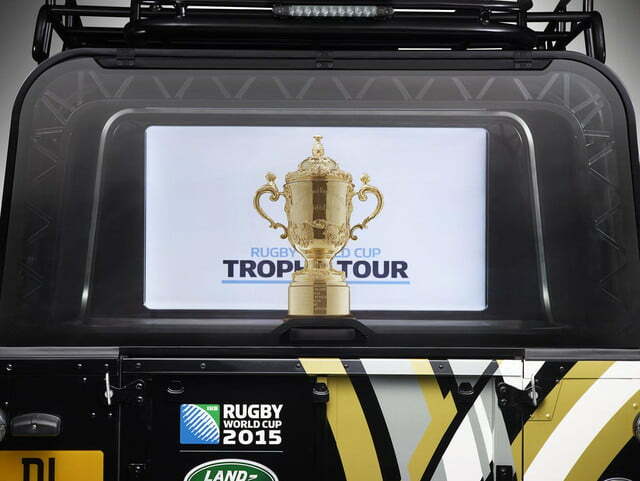 The cabinet isn’t simply a run-of-the-mill display case that Land Rover purchased from the local Ikea. 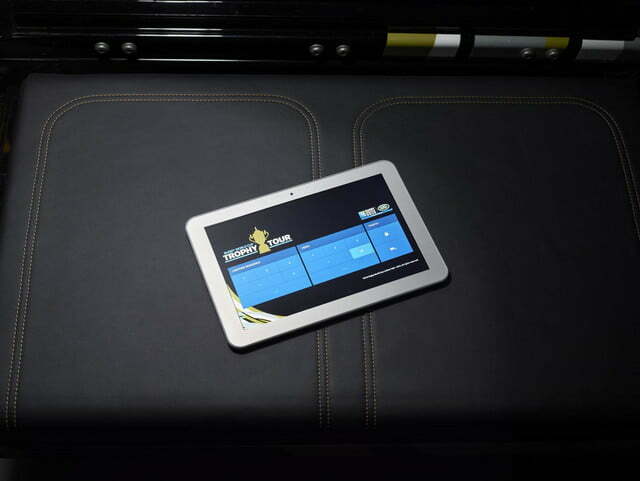 It’s a high-tech piece of furniture linked to a purpose-designed application, letting the passengers use a tablet to ensure the climate-controlled case always remains at precisely 77 degrees Fahrenheit. It also lets the passengers choose from one of three available lighting modes, and lock and unlock the case. 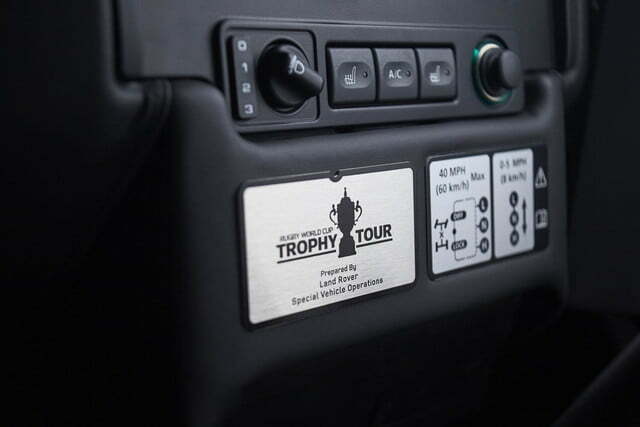 Land Rover explains the latter feature is of the utmost importance because only previous World Cup winners are allowed to touch the trophy. Who knew? 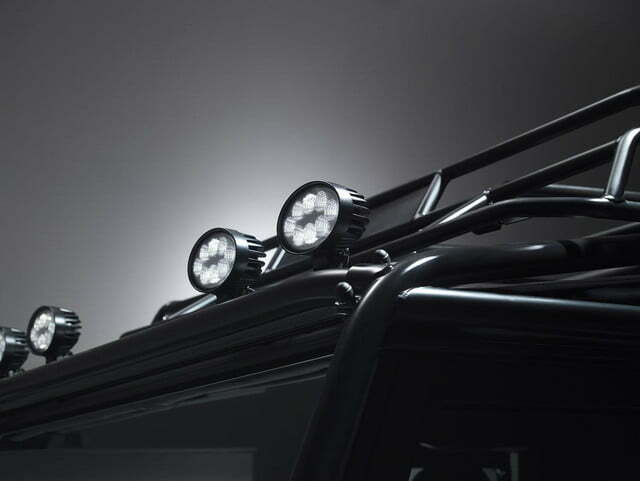 Rear end aside, the Defender has been upgraded with a winch, an aluminum skid plate that protects the oil pan, an expedition roof rack, and side and rear steps. 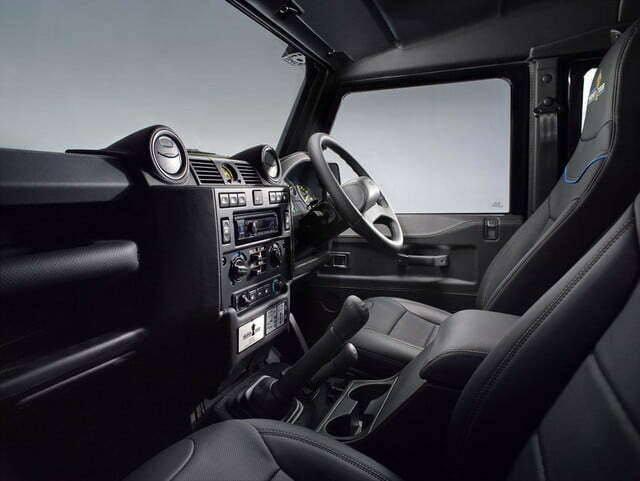 Inside, Special Vehicles Operation has tried to mask the Defender’s purely utilitarian roots by adding black Windsor leather upholstery with gold contrast stitching and blue piping. 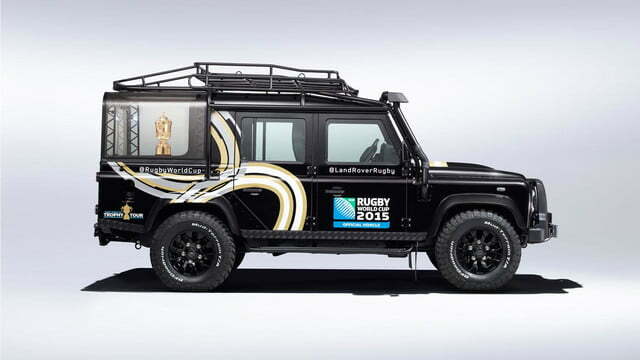 Land Rover has not made any mechanical modifications to the Defender. 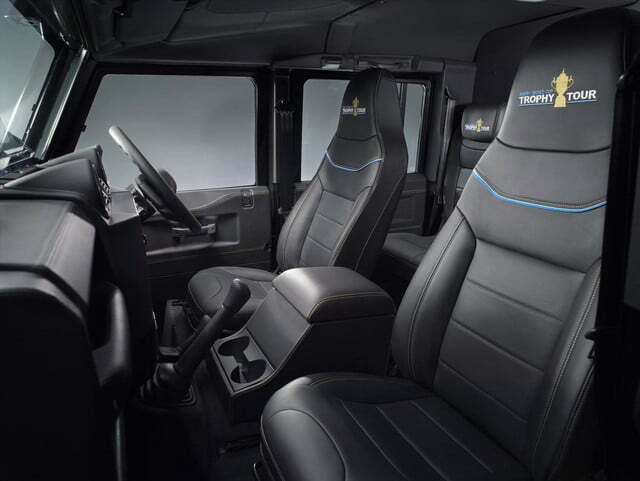 It is powered by a 2.2-liter four-cylinder turbodiesel engine that makes 120 horsepower at 3,500 rpm and a healthy 265 foot-pounds of torque at 2,000 rpms. The oil-burning four sends power to all four wheels via a six-speed manual transmission and a dual-range transfer case. 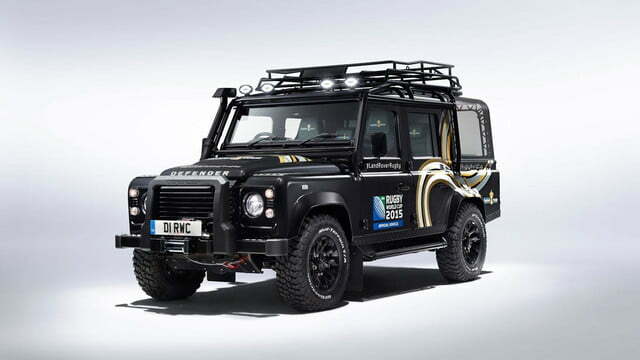 You’ll have to head off to either England or Ireland if you want to see the custom-built Defender in action. 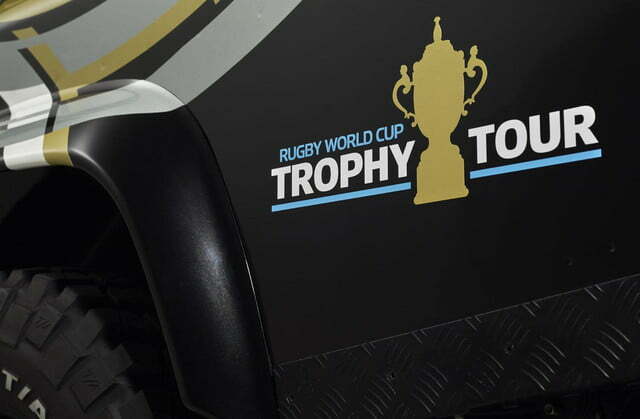 From June 10th to September 18th, it will criss-cross both nations in order to bring the cup to over 300 events. 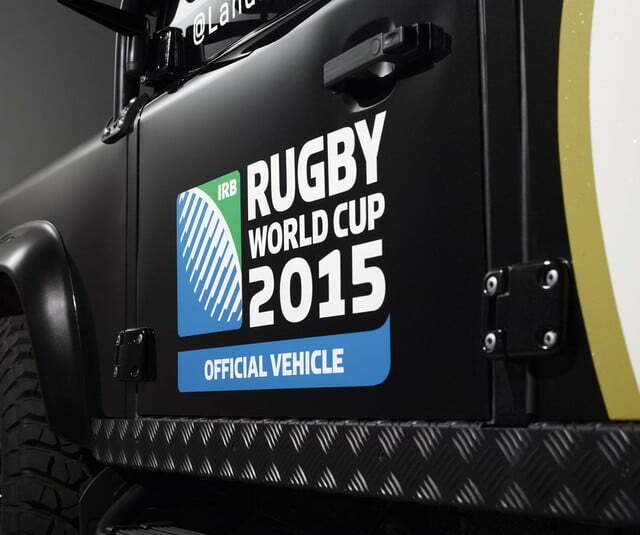 When all is said and done, the off-roader will have logged approximately 9,000 miles over the course of 100 days.